While I'm working in New Mexico, I decided to check out the local course here in Albuquerque at Roosevelt Park. 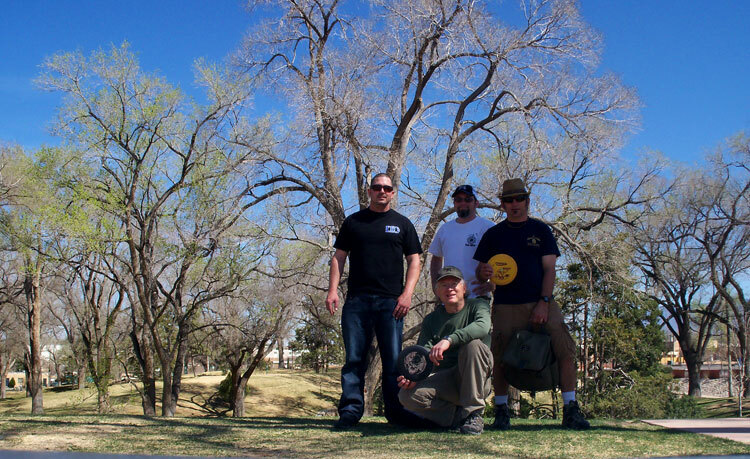 The course is set up in a well maintained park close to the University of New Mexico. It would have been excellent at 9 holes, but instead it's a 10 baskets, 18 hole course designed on a relatively small section of the park. 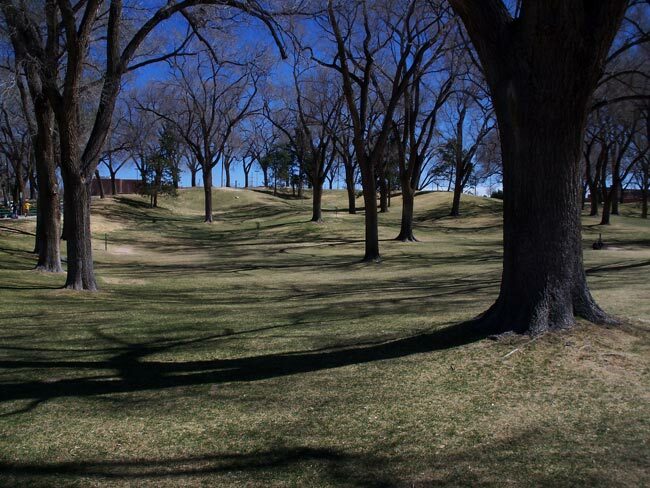 This means you end up teeing off to the same baskets as other holes and several fairways cross other fairways. 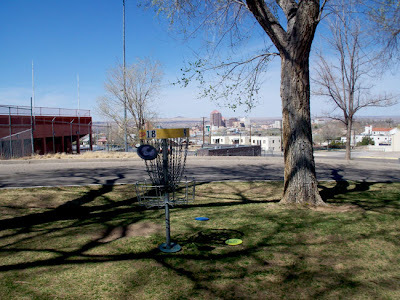 Add to this the locals playing their own versions of the course and you get one confusing mess of a layout with disc flying in every direction. FOUR!!! LA crew throws New Mexico: Travis, Chris, Duncan and Jamie. Hole 18 overlooking downtown Albuquerque.